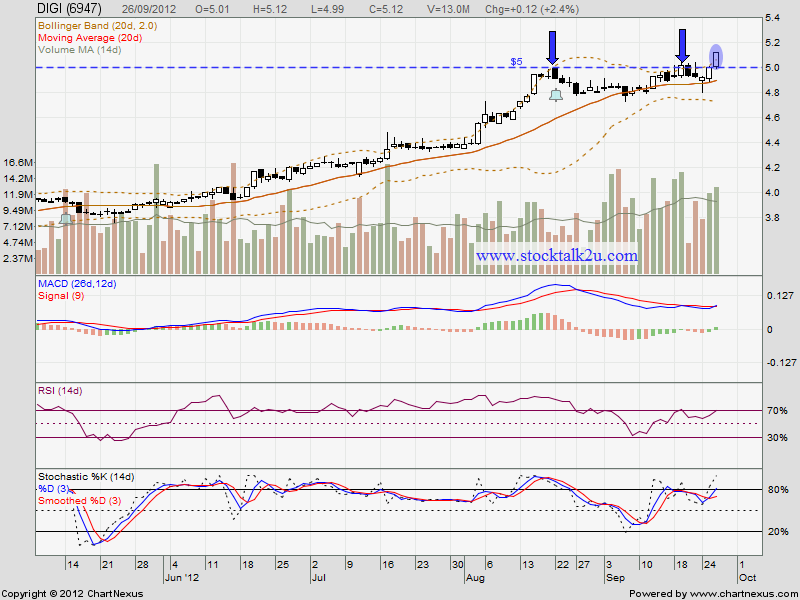 DIGI keep going higher high with MA20 as support level. Sept 26, succeed break through RM5 psychology level. Since it has been trade at historical high, NO immediate resistance. 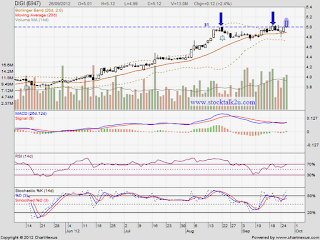 Immediate support would be RM5 level.